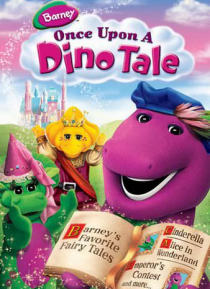 Join Barney and his friends in some make-believe fun as they enter an enchanted world of classic fairy tales! Princess Rosey is having a party for the whole kingdom and asks her court jester, Jingles, to find the best fairy tales in the land. Barney, Baby Bop, BJ and Riff decide to help out by sharing their favorite stories. Using the power of their own imaginations, they also create their own ama… zing stories! Be a part of the fun and learn that the best tales are told together with the ones you love.